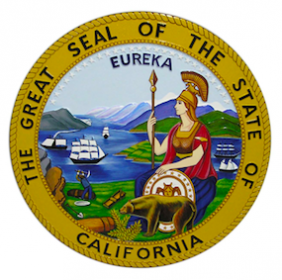 Yesterday’s five-and-a-half-hour informational hearing regarding the possible authorization of regulated intrastate California online poker turned out to be quite the show, for live participants and interested Internet onlookers alike. The hearing, conducted by the The California State Assembly’s Committee on Governmental Organization, called the “GO” Committee, featured one of the largest lineups of experts and interested parties ever to convene for a legislative hearing of this nature. Some 33 witnesses appeared before the committee during the lengthy session, including representatives of California casinos, security experts, third-party service vendors and specialists, lobbyists both for and against the formal regulation of online poker in the state, and even a few representatives of outspoken interests. The expert-testimony list was so deep that the lineup had to be broken into several different sections of testifying witnesses, which set the stage for the first major twist of the day. The third such grouping of experts consisted of representatives from seven different prominent California tribal nations, six of which have been part of the loose grouping of California tribes seeking to insert a “bad actor” provision into the bill, to block PokerStars and its parent company, Rational Group, from being allowed to participate in any way. The seventh of the tribal-nation groups to be represented was the Morongo Band of Mission Indians, in the person of Robert Martin, and the lineup was stacked further against Martin and the Morongos: Martin was put into the leadoff position of the third session to present his case both for online poker and against any “bad actor” clause, since the Morongos were already identified as having been in negotiations with Stars. The testimony schedule, then, likely constructed with the help of committee members generally in favor of rhe tribal coalition currently demanding the bad-actor provision, was planned out to allow the six other tribal reps free reign to counter the Morongo statement. Among the six were Pechanga representative Mark Macarro and San Manuel rep Lynn Valbuena, with the Pechangas already on record as attacking the Morongo-PokerStars negotiations. Thus came the major curveball of the event, the releasing of the announcement of the formal online-poker platform deal between Rational Group, the Morongos, and three major Los Angeles card rooms — Commerce, Hawaiian Gardens and the Bike. The presser went out to a major media mailing list just minutes before Martin began speaking on behalf of the Morongo position, a direct counterattack to a previous statement by the anti-Stars groups that the Morongos could be “rolled” on the bad-actor matter, which would have not referenced Stars directly, but which would have used a cutoff date to apply to any former US-facing sites. In that way the hearing’s dynamics were changed in mid-stream, forcing the six tribal witnesses to change their attack plans on the fly, and neutralizing some of the points that likely would have been made. Several commentators have termed it as PokerStars and the Morongos drawing a virtual “line in the sand” regarding the inclusion of any bad-actor clause designed to block normal due process, which in this case would allow California gaming regulators to vet and approve any potential gaming licensee. A few even ventured that Stars was unwise with the timing of the release announcing the deal, though while it was definitely high-risk, it may turn out to be brilliant as well. California, with its population of nearly 40 million, is roughly as populous as Canada all by itself, and it dwarfs the combined populations of Nevada, New Jersey and Delaware (a little over 10 million added together), the three US states that have already approved regulated online poker. Given Stars’ setbacks in those states and its unwillingness to commit to a legal battleground, California likely represents its last and best hope of returning to the future US market. Some other commenters slammed Stars and the Morongos for taking a stance that may likely set back the online-poker process, but again, that’s a strawman argument. The proposal backed by the Pechangas, San Manuels, CTBA members and a few other tribes remains a horrible, exclusionary bill, the epitome of greed designed to benefit a narrow few at the expense of many others. For poker players and industry reps to throw in with the Pechanga-led proposal simply because it appears to represent the easiest pass is horribly short-sighted. Still, what will happen as a result of this bold gambit remains to be seen. For all of its central role in the proceedings, neither PokerStars nor parent company Rational was ever mentioned by name, leading such onlookers as Global Poker Index CEO Alexandre Dreyfus to Tweet, as the day went on: “Is Pokerstars Voldemort ? ‘He-Who-Must-Not-Be-Named'”. Starsy Potter or not, the world’s largest online-poker site will likely have to conjur up a few more tricks to become a future part of the California i-poker scene. That day remains a long day off, and the turbulence of yesterday’s hearing shows exactly why.